Today, Arijit Singh is the most popular name among all the Bollywood singers. But did you know that he plays Bengali songs as well? Not only a singer, he also composes some of his own songs. He is known as one of the most versatile singers in Bollywood. Not only his romantic numbers but sad and party songs are also on the playlist of everybody. We have prepared all the Arijit Singh Songs List, that you can listen for FREE according to your mood. Arijit Singh first came into limelight through Indian Idol 2 in 2005. He made his Bollywood debut with the Mithoon-composed number “Phir Mohabbat” from Murder 2. He rose to name and fame with Aashiqui 2 song, “Tum Hi Ho“. The song became an instant hit, and so did Arijit Singh. He also won several awards for this song, including his first Filmfare Awards. Thus began his journey to popularity. Even when a lot of songs by different singers are released every day, still Arijit Singh Songs always manage to create their position in top 5 in BOTY Music’s Top Trending Songs. BOTY has created for you top 50 Arijit Singh Songs List, which you can listen in any mood. The trending songs appear on the top of the list. Now, avoid the hassle of downloading the songs and listen to them here for free on BOTY Music. All you have to do is hit the PLAY NOW button! Out of all the Arijit Singh Songs, it is very difficult to pick a favorite. Some like to listen to sad songs, while some like romantic or party songs. But we hope whatever your mood was while listening to these songs, you would have enjoyed listening to his soothing music. 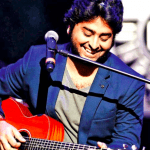 We will keep updating the Arijit Singh Songs list as and when his new songs would release. Meanwhile, you can check songs by other singers on BOTY as well.